Known for it's beautiful gardens and canals, Suzhou (Jiangsu province) serves as well as a business hub of Shanghai. 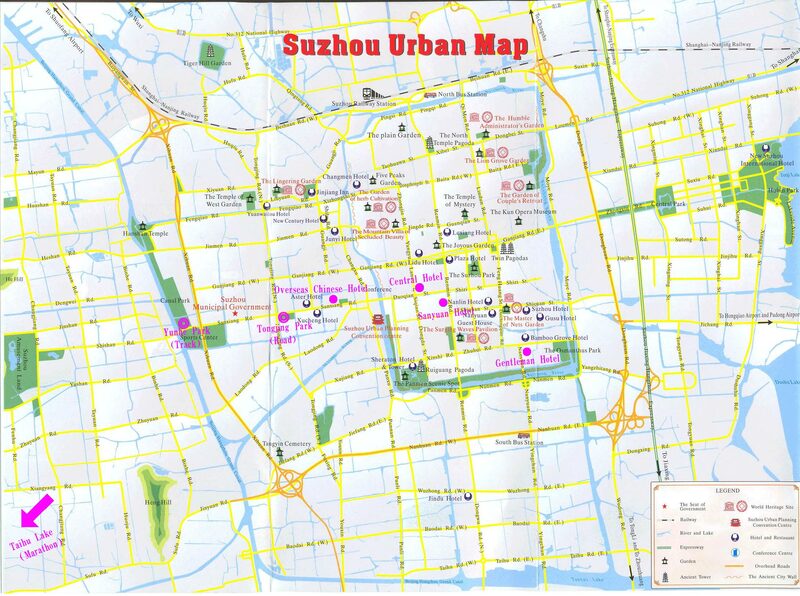 Suzhou City MapMap including some landmarks. 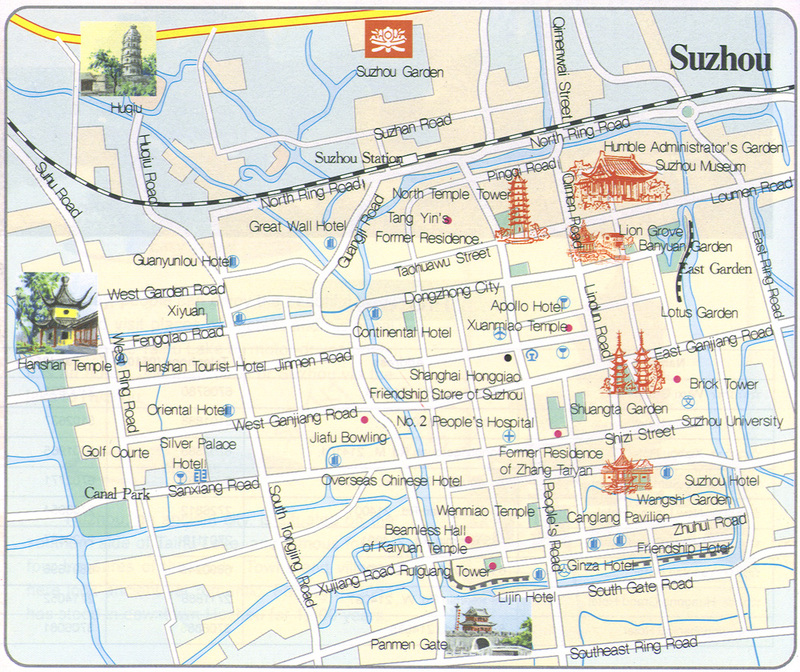 Suzhou MapMap with the main streets and locations in Suzhou. Suzhou Urban MapDetailed map of Suzhou. Includes landmarks. Suzhou GardensInfo about the classical gardens of Suzhou, like the Humble Administrator's Garden andthe Master-of-Nets Garden. Suzhou Gardens in 3dClick one of the gardens on the map and you can enjoy the scenery. Suzhou Cultural Arts CentreGrand Theatre,, dinner theatre, seven movie theatres, an IMAX theatre, cafes, and more. Includes schedule. Suzhou GovernmentLocal Suzhou goverment. Includes news, travel, public transport and investment info. Suzhou Public TransportTaxis, buses and trains in Suzhou. Scroll down the page. Expat Association SuzhouExpats in Suzhou. Includes a calendar and forum. Dusa European AssociationForum for Companies, of whatever nationality, with European business interests. Fullhome SuzhouReal estate consultancy in Suzhou. Joanna Real EstateResidential & Commercial property services. Includes listings. MaxxelliProvides relocation solutions for international companies. Relocate RealtyOffers relocation and realty services. What's On in SuzhouAgenda of what's happening in Suzhou as well as classifieds. Rendezvous Restaurant & LoungeLocated East of Jinji Hu lake, on Jin Hu Wan business street, Rendezvous brings western food, comfort and service to Eastern Suzhou. The outdoor patio is the perfect place to enjoy a cool drink, while our upstairs is suitable for a relaxing afternoon tea. Zapatas Mexican CantinaMexican restaurant and bar.